While exhaling, bring down the head and legs up to knee joint. Maintain this position as long as you can hold and slowly come back to the original position. Bow pose for weight loss: Dhanurasana give maximum stretch on the abdomen and abdominal sides. Regular practice of this asana helps to shed and burn fat of the above said regions of the body. It also provides overall toned shaped to the entire body. Good for lethargy: Bow pose is very useful for overcoming lethargy. It works directly on the solar plexus at the navel region, which is a large sympathetic nervous centre. These nerves facilitate better efficiency, which in turn leads to improved functioning of vital organs such as digestive, eliminative and reproductive. Massage Liver: It ensures proper functioning of entire abdominal organs. It massages the liver, which in turn aids digestion. Treats diabetes: The pancreas gets appropriate toning by performing Dhanurasana. It stimulates further secretion of the correct amount of glucagon and insulin that helps in balancing of sugar in the blood. Both the diabetes Type 1 and Type 2 will be benefited by practicing this important yoga posture. Blood cleansing: Since, it helps to flush blood to the entire body as well as various organs. Therefore, to a greater extent, it works as cleansing process. Kidney health: By performing bow pose, the kidneys works more efficiently, which leads to better fluid balance in the body? 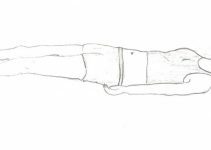 Strengthens spinal columns: Dhanurasana refreshes and rejuvenates the spinal column. It relieves stiffness and the spine is made more supple and healthy because the ligaments, muscles and nerves are given a good stretch. This asana brings back elasticity to the spines and toned the abdominal organs. Good for heart: It massages the heart. This is done by the diaphragm, which is pushed towards the heart by the extra pressure in the abdomen. Cures asthma: It is one of the best yoga poses for removing the hunching tendency of asthmatics, which aggravates ill health. Dhanurasana realigns the back thereby improves the breathing processes. This in turn leads to free flow of air through the nasal passages. Massage thyroid and adrenal glands: The secretion of the adrenal glands is regularized. Blood is flushed through the glands. It is this effects that quickly removes tiredness, for cortisone secreted to give you the required lift or if you are overactive, the secretion of cortisone is reduced so that the body attains balance. Cures back pain: The ligaments, muscles and nerves in the back are given good stretch and the spinal column is rejuvenated. It is beneficial for treating back pain. Treats slipped discs: The persons who are experiencing slipped discs have obtained relief from the regular practice of Dhanurasana and Shalabhasana. Strengthens shoulders: Bow pose strengthens your shoulders, arms, neck, abdomen, back, thighs & hamstring muscles. Locate navel: It sets the dislocated navel right, which could be the cause of pain in the stomach, legs or even loose motions or constipation. Sexual arousal: It helps to invigorates sexual vigor of the person. While performing the Bow pose, try to use the leg muscles only and let the back be passively bent backwards. With regular practice, it will become easier. Make sure that your hands clasp around the region of the ankles, not the feet. Keep the feet together so that the big toes remain in contact throughout the entire practice. Resting the weight of the body on the ribs instead of the soft part of the abdomen in the final pose. Adjust the balance of your body so that the belly lies in contact with the floor. Bending the arms. Keep the arms straight throughout the entire practice. People who suffer heart problems should avoid it. Patient with high blood pressure should skip it. A person suffering from hernia, peptic or duodenal ulcer, appendicitis, colitis and other abdominal ailments should not do this asana. Don’t practices Bow pose just after meal? There should be a gap of at least 3 hours. 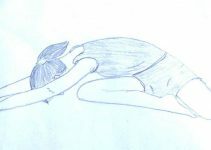 It is recommended not to do Dhanurasna immediately before going to bed at night as this Asana stimulates the adrenal glands and the sympathetic nervous centre in the navel, which may leads to sleep problems. Pull your chest and thighs equally up & do not bend your elbows. Keep the width of your knees strictly according to the width of your shoulders. Persons with sway back or severe backache / sciatica must consult a good Yogi before attempting this pose. Parsva means sideways where one performs the posture lying on one side. Now, exhale, roll over to the right side and stretched the legs and chest. Inhale come to the original bow pose and then exhale roll over to the left. It massages the abdominal organs by pressing them against the floor. Dhanurasana is ideally practiced after Bhujangasna and Shalabhasana respectively. It should be followed by forward bending asana as a counterpoise. Initially, one has to exhale. Now inhale deeply while raising your body up. During maintaining the pose, continue slow inhaling and exhaling. While, coming to the starting position, one has to take exhale deeply. Thanks i really helped me in my project ! Fantastic work was done by you. I love the ways you have mention “Health benefits of Bow pose”. Keep up doing great work!